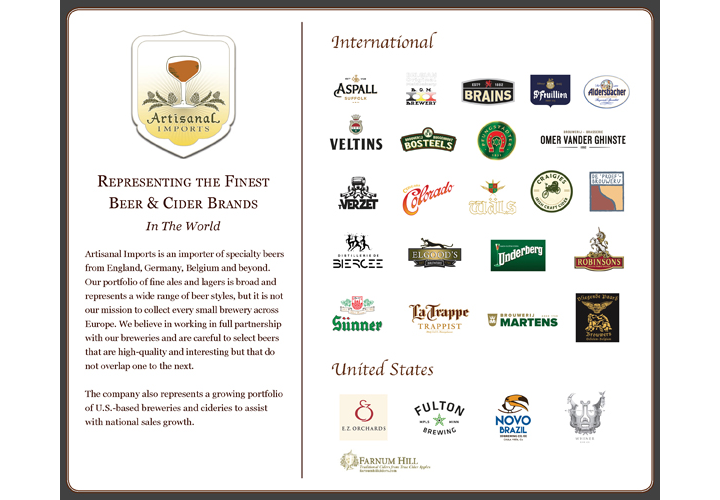 Austin, TX (March 13, 2017) – Artisanal Imports has announced the beginning of a significant public relations effort to increase awareness of its worldwide portfolio of breweries and cideries. Artisanal aims to further establish itself as a leading educational resource for industry professionals unfamiliar with the rich culture and talented brewers behind some of the world’s most respected beer and cider brands. Media and industry professionals can expect to receive multiple monthly press announcements covering topics such as: Interview Opportunities, New Releases and Collaborations, Awards and Reviews, Marketing and Branding Campaigns, Special Events, Distribution Expansion, Media Coverage, Industry Innovation, Employee Innovation and more. For more information about this new PR initiative or the Artisanal Imports portfolio of breweries and cideries, please contact Lanny Hoff at +1 (612) 245-5433 or by email at lanny.hoff@artisanalimports.com.